Leanna Renee Hieber would never willingly tell you how hard the publishing industry is—though she’d have good reason. Like many authors, her road to success has been fraught with highs and lows: the struggle to find a publisher, the excitement in landing a deal, the despair when that deal went sour, and then the sheer determination to find another place for her work. That effort paid off as STRANGELY BEAUTIFUL eventually sold in a three-book deal to Tor that not only restored Hieber’s faith in the industry—and herself—but also allowed her to go back to the story’s original vision. The result is a hauntingly beautiful romantic suspense for young adults that is peppered with well-placed horror and riveting gothic history. Hieber often finds herself cheekily referring to the novel as “Victorian Ghostbusters” with action, adventure, mythology and an adorable love story—but that doesn’t quite do justice to the lyrical quality of Hieber’s stunning prose. If the novel’s journey to publication is not indication enough that this is the book of Hieber’s heart, the opening chapter alone provides convincing testimony. 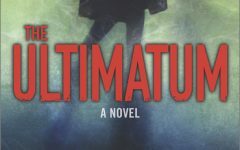 In this interview with The Big Thrill, Hieber openly shares her journey to publication, the inspiration for STRANGELY BEAUTIFUL, and some sage advice for writers—or anyone, really—who has ever wanted to give up. In STRANGELY BEAUTIFUL the reader is immediately brought into a world that is rich with description and atmosphere. I was blown away. What kind of setting research did you do for this book? Emotionally and cognitively, I suppose it began with comprehending linguistic differences at an early age, distinguishing a varied vernacular between American and British English. I watched British television shows religiously (I’ve been a Doctor Who fan since Tom Baker, at the age of 7, so all of you who now think it’s cool, you’re behind the curve). I read Victorian novels in grade school and was entranced with anything “across the pond” as far back as I can remember. I grew up in rural Ohio with a soul far more familiar with old European cities. My last year in college I was awarded a scholarship to travel to London for a senior project about Shakespearean theater spaces. Having always felt “called” to London, the moment I stepped onto its streets, I was home. I could feel the ghost stories. The air felt instantly familiar, like an old friend. Amidst walking tours focusing on ghosts and Jack the Ripper’s haunts, the beginnings of this book that would wholly change my life stirred my already overactive imagination to a fervor. I graduated from Miami University with a BFA in theater with a focus study in the Victorian Era. I can only describe my deep connection to the 19th century as being influenced by past lives. The story itself isn’t the only part of this book with a unique history—originally published as two successful and award-winning books, and now resurrected as a beautiful omnibus. What’s the story behind this fascinating revival? What a journey it has been! It took some time getting it on the road to publication in the first place, let alone this new revised, author-preferred edition. This series is Gothic Historical High-Fantasy Romantic Suspense with Mystery, Young Adult and Horror elements. When I was first querying agents and editors, I got a lot of, “This is very interesting, but we don’t know where to shelve it.” After some revisions tightening the narrative I finally landed an agent and then a mass-market New York publisher—known for small advances, taking chances, starting authors and providing good distribution—bought the series and it had a great launch. It went into four print runs, won numerous genre awards, garnered international sales, and was a Barnes & Noble and Borders bestseller. But then the economy took a dive, Borders and other distributors closed, and so did my publisher. Melissa Singer at Tor, the house I’d always hoped to work with, knew the series and felt we’d be a good fit. We have been. She’s a magnificent editor who makes me a better writer each and every time. I was very lucky to get this second chance, and thankful to be with a house that is no stranger to historical fantasy. Based on your experiences with this book (both good and bad), what advice would you offer authors braving the publishing trenches? Stay in the game. I was emotionally—and financially—brutalized by what happened. But I couldn’t let being a victim define or sabotage me from future earnings or opportunities. I put my nose to the grindstone while I charged past the pain. I battled a significant amount of depression, and a ferocious amount of repressed anger, worry, and fear—but I didn’t want to lead with that. I am a performer by training, so I masked all the rough stuff. While I was honest about what had happened to my books, and admitted it was devastating, I didn’t linger there but focused on the new work. I didn’t rant about things I couldn’t change and made sure to stay professional. There’s a lot of “right place, right time” with this business. You have to be working and present to create conditions for opportunities and even for sheer luck to happen. Be ready with a product, a project, willingness to edit and hone your craft, and never let the fear of what can happen override the desire to see your work out in the world. It is hard to do; to be creative when you’re emotionally gutted. Creativity must always trump fear. If reading about the book’s history wasn’t a clear testament to how much a part of YOU this book is—a true book of your heart—then simply reading it would be a demonstration. Why is it important for you to write what you love? I write in a woven mesh of genres I have loved since I could first read and put pen to paper. At this point, I now have a choice to remain in the Gothic, an oft misunderstood, fraught genre, and all the cross-genre pitfalls along the way. I’m interested in expanding into other genres and styles and that will come when organically necessary, but I doubt I’ll ever walk away from what has really made me tick since day one. I have to write about a topic and in a field where I must lavish words, research and meticulous focus. I write because I must. It is my animus, my drive, a spiritual, vital, visceral calling. Have you ever had a “ghostly” encounter? Yes. Many. Each has been varied and distinct. Each has found its way one way or another into my books. Any negative, toxic, obsessive, or harmful energy I will automatically reject with shielding, a few choice phrases of scripture, armed with a fierce faith that brooks no audience with that sort of essence. However, the positive old echoes, the protective, the warm, the welcoming—I’ve had wonderful experiences with that sort of spirit and the resonance inside old homes and sites. That’s the stuff that keeps me writing, as I’ll never have all the answers to the divine mysteries of life, death, and between. What do you hope readers take from this story? I want readers to dive into the lush setting I so lovingly crafted, and then to fall in love with these characters as much as I have. These all-too-human people do a terribly difficult thing with their lives, for essentially no reward, simply because it is the right thing to do. I want readers to laugh and cry with them, to feel their aches and triumphs as their own. Yes they do incredible, super-heroic things in this moonlit Gothic setting, but I have also tried to make them imminently relatable people. I particularly hope readers open their whole hearts to Miss Percy, to champion her as an outcast heroine to cherish, as it is her undaunted, passionate, generous heart that makes her strong. Characters don’t have to wield swords to be strong. It is a herculean strength for Percy to go out into a world that deems her a freak every day. It is strength for her to not become embittered and sour in a hateful world. It is strength for her to face down holy terror and do whatever she has to in order protect those she loves, with no weapon other than her heart, wit, language, and light. She is something more special to me than I can describe in anything less than a full series and I pray readers can see that too. 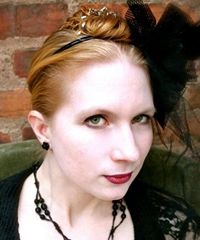 Actress, playwright and author Leanna Renee Hieber is the award-winning, bestselling author of Gothic Victorian Fantasy novels for adults and teens. 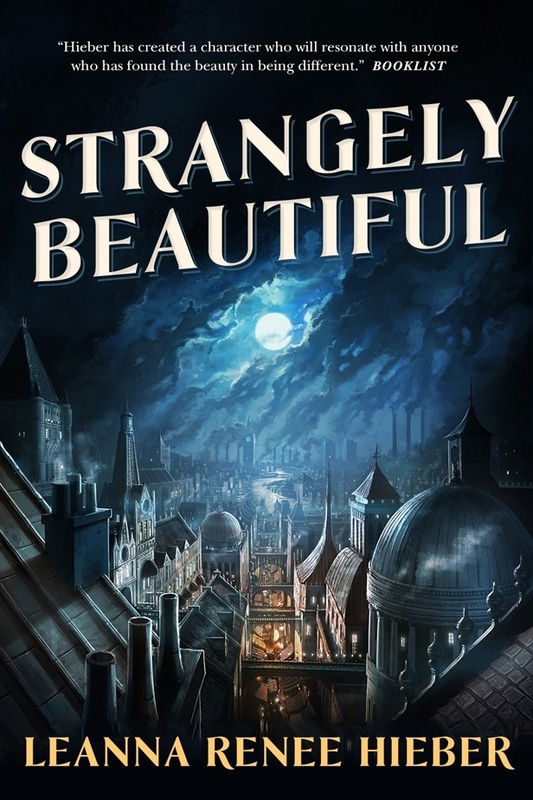 Her Strangely Beautiful saga, beginning with The Strangely Beautiful Tale of Miss Percy Parker, hit Barnes & Noble and Borders Bestseller lists and garnered numerous regional genre awards. This series, reissuing in new, entirely revised editions from Tor, is currently being adapted into a musical theatre production. Leanna’s Magic Most Foul saga began with Darker Still, an American Bookseller’s Association “Indie Next List” pick and a Scholastic Book Club “Highly Recommended” title. Her new Gaslamp Fantasy saga, THE ETERNA FILES, is now available from Tor, with the sequel ETERNA & OMEGA releasing 8/2016. 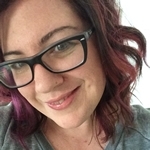 Her short fiction has appeared in numerous anthologies such as Queen Victoria’s Book of Spells, Willful Impropriety, The Mammoth Book of Gaslamp Romance and featured on Tor.com. She is a 4 time Prism Award winner for excellence in the genre of Fantasy Romance. Her books have been selected for national book club editions and translated into many languages. A proud member of performer unions Actors Equity and SAG-AFTRA, she lives in New York City, has been featured in film and television on shows like Boardwalk Empire, works as a ghost tour guide for Boroughs of the Dead and crafts Gothic, Steampunk and Neo-Victorian jewelry on her Etsy store.